Photo Credit Pete Florey: MDP Images. 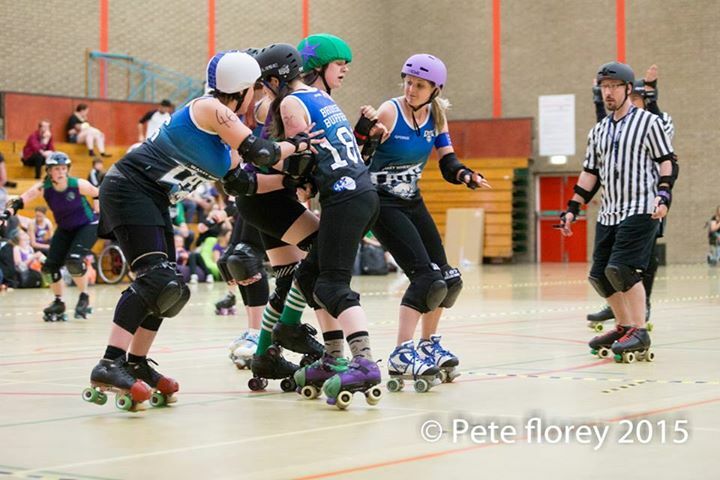 The Cats failed to make a winning start to their British Championships campaign with a loss to Mansfield Roller Derby on Sunday. The Cats went into the game as the underdogs, with a depleted side against an opposition ranked 100 places above them. But with Mansfield also playing short, the game proved to be a tight one, with the lead changing throughout. Mansfield were first to put points on the board, with jammers Gemma Adams and Jenny McInally making the most of a penalty by Wakey jammer Lysette Bell. The tables soon turned when Mansfield’s Laura Mitchell took a trip to the penalty box, allowing Wakey’s Katie Swift to score unopposed. Cats’ jammers Bell and Nikki Holt added further points, putting the Cats ahead 26 to 15 after ten minutes. But a powerjam in Mansfield’s favour meant despite heavy defence from the likes of blockers Kirsty Quinn and Anne Body, Mansfield were able to crawl into the lead, 41 points to 40. Offensive play by Wakey blocker Lindsay Pantry helped Holt secure further points, but it was Manfield who retained the lead going into halftime, 81 points to 66. 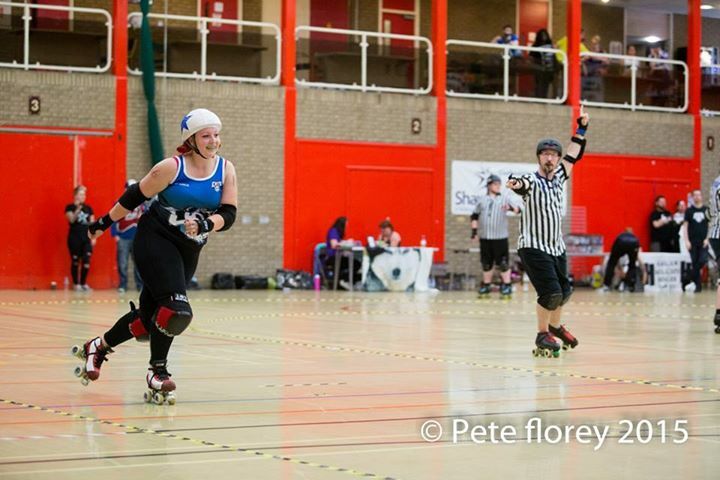 A change of tactics saw Body come out of her usual blocking position to take the jammer star in the second half, but was penalised for a back block, allowing Mansfield to get up to 94 points. With a win still possible, Wakey didn’t stand back, with Swift securing a 13 point jam moments later. Wakey’s Katie Clayton added further points but with 10 minutes to go, Mansfield stormed ahead. Successive penalties for Wakey’s jammers saw Mansfield secure several more power jams in the final minutes, with Mansfield widening the differential and winning 173 to 130. 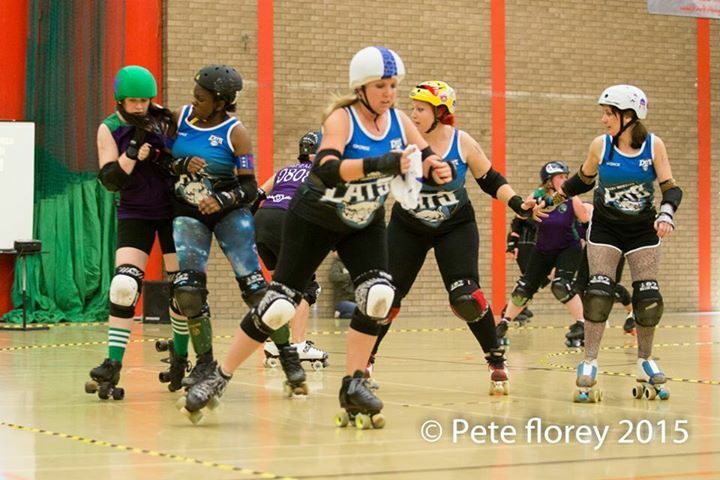 It was a disappointing defeat for the Cats, who next up face Wolverhampton Honour Rollers, on July 18. The Honour Rollers continued to show their dominance on the tier in the events earlier game, where they beat Hallam Hellcats 207 points to 70. The game will undoubtedly be the toughest challenge for Wakey in the tier, and we’ll be wanting as many of our supporters as possible to join us on the day. 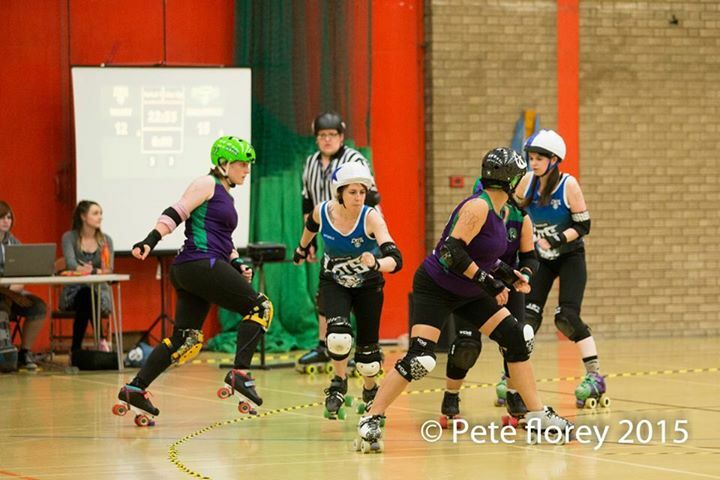 It is a double header and hosts the Hellcats will be taking on Borderland Brawlers, who did not play at Sunday’s heat. The game saw the Cats say goodbye to Brianna Spanks, aka Carla Cronin Grimaldi, who is heading back to the States. Spanks may have only been with the Cats for a few months, but she has made a huge impact. We will miss her dearly and wish her well with her future derby endeavours.